Shune Yung Davis began studying Jidokwan Taekwondo in the late 1950’s in South Korea. He relocated to the Los Angeles, California in 1974 and opened a school as a representative of the Jidokwan headquarters in Korea. It was then that he met William Sirbaugh, who also introduced him to Ernest Al Fuzy. Sirbaugh had studied Moo Duk Kwan Soo Bahk Do while stationed at Camp Mujuk near Pohang, South Korea, as well as Hankido under the art’s founder, Myung Jae-nam. Fuzy began his training in ITF Taekwon-Do before studying Jidokwan Taekwondo under Robert Moore and Shotokan Karate Do under Richard Felnagle. Davis, Sirbaugh and Fuzy became training partners and were sharing information. They were frequent visitors in each other’s schools. Over time, they began teaching a collaboration of all of their training, which came to be called American Jidokwan Taekwondo. While living in California, Steven Hatfield studied American Jidokwan under Sirbaugh, his father, and Davis simultaneously as they had opened a school together. After moving to Ohio in 1999, Kwan Jang Nim Hatfield began training in Wae-Kune-Do, a Moo Duk Kwan derived art, under James Parrish and later under the art’s founder, Clarence West. It was then he also began studying traditional Jidokwan Taekwondo under Choon Mo Yang, eventually reaching 3rd Dan under him. Eventually Kwan Jang Nim Hatfield returned to California and resumed his training in American Jidokwan under Davis, under whom he earned his 5th Dan. He would continue to travel between California and Ohio many times over the next decade to continue his training with Davis. By this time, E.A. Fuzy had broken away from the others and was teaching what he called "American Ji Do Kwan Karate" in an effort to emphasize his Shotokan roots and separate from the stigma of sport Taekwondo. Davis subsequently retired, leaving Sirbaugh as the sole proponent of American Jidokwan. Upon Dojunim Sirbaugh's death in 2009, he designated Hatfield as the inheritor of American Jidokwan with the rank of 9th Dan. It was then that Hatfield began drawing on and incorporating influences from his training in Wae-Kune-Do Karate, a Tang Soo Do derived art founded by Clarence West, including such an extreme self defense training regimen. Patrick Justice quickly rose to become Hatfield's top student. 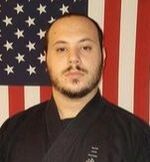 Upon his promotion to 7th Dan in 2011, Hatfield decided to pass administrative control of the art over to Justice so he could focus on and pursue his other martial arts endeavors. However, he remains an advisor to Justice as well as the official headmaster of the art itself. In 2017, Justice was promoted to 9th Dan by Hatfield. It was then that he decided to officially separate the organization from the Korea Taekwondo Jidokwan. This decision was made because the evolution of American Jidokwan had returned it back to its original foundation in Japanese Karate-Do, while Korean Jidokwan began largely conforming to modern sport Taekwondo under the Kukkiwon and the World Taekwondo Federation. Wanting to further separate himself from mainstream Taekwondo practitioners, he began referring to the art as Tang Soo Do in recognition of the history of the art and the American Jidokwan’s focus on traditional training instead of sport. Self defense remains at the center of American Jidokwan, and the art as practiced today closely resembles its Karate-Do roots. As such, practitioners of American Jidokwan now have the opportunity to be officially are ranked in both Taekwondo and Tang Soo Do, providing that the complete requirements for both are met. However, each individual school may at their discretion choose to only teach and rank students in one or the other. In August of 2018, the American Jidokwan Association reconnected with its Korean roots when our organization leadership became re-certified from the Korean Jidokwan Headquarters, approved by Jidokwan President Sung Wan Lee. As such, the AJA became an official avenue for certification from Korea, although as an organization we remain independent with our own curriculum, requirement and standards. ​​Because Hae Jang Nim Gordon holds only a 4th Dan in American Jidokwan (as well as a 5th Dan from the Korean Jidokwan HQ), Kwan Jang Nim Hatfield remains the official headmaster of the style while HJN Gordon, as President of the Association, maintains administrative control over the organization. It must be noted that we are not the only organization with a claim to the "American Jidokwan" name. As stated above, the organization began as a collaboration of several practitioners. When the organization split, each division became independent. As of this writing, there are several other known branches of American Jidokwan that all trace back to the original founders, with the most prominent being American Ji Do Kwan Karate (also sometimes written as American Ji Do Kwan Kong Su Do) started by E.A. Fuzy. While we maintain an open line of communication with all branches of American Jidokwan, and recognize them all as family, we are run separately and independently of each other.